« “Forgotten Hollywood”- Funding To End w/ Bowling & Humor! 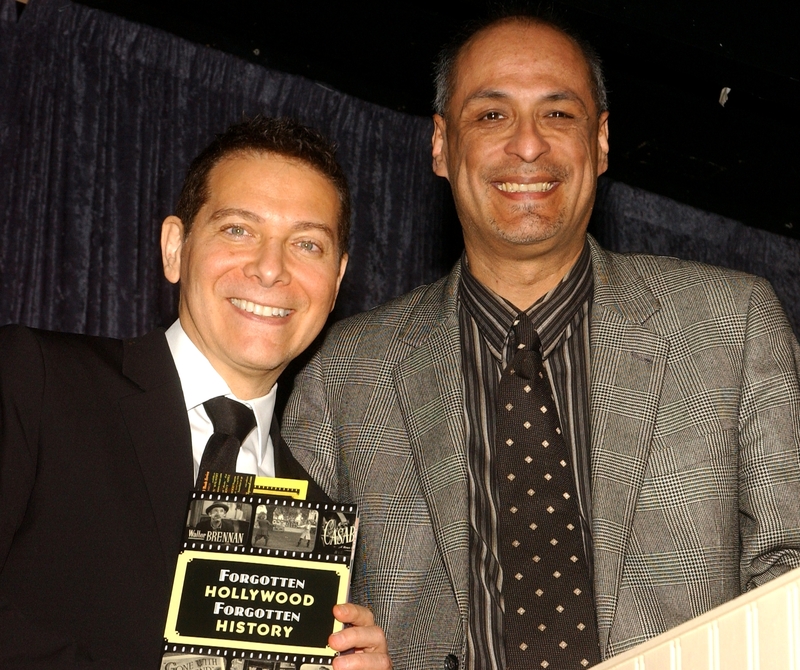 What a thrill it was for me to present the Forgotten Hollywood Book Series and a copy of my Forgotten Hollywood Radio Program to song stylist Michael Feinstein. 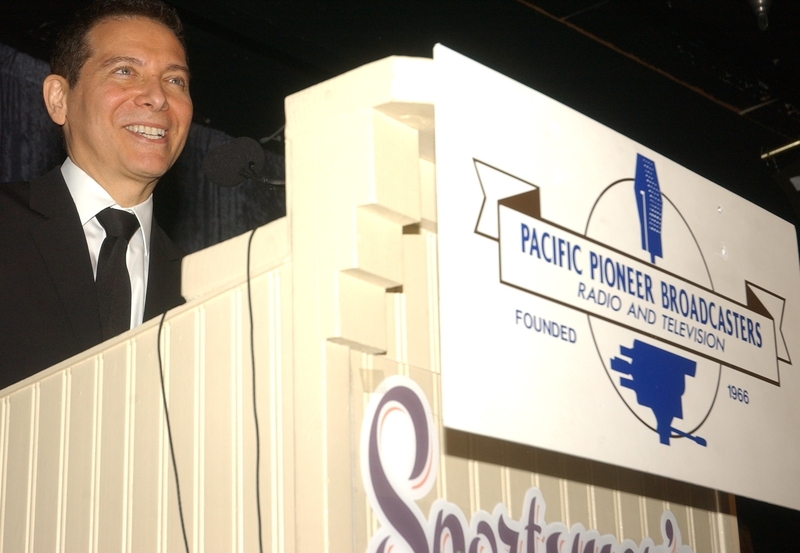 The singer was honored Friday by the Pacific Pioneer Broadcasters for his untiring efforts to preserve the Great American Songbook in conjunction with the Library of Congress. Among the folks who honored Feinstein… television producer Norman Lear, Debbie Boone, Florence Henderson, and the iconic songwriting team, Marilyn and Alan Bergman. In the audience was veteran actress Jane Withers. Michael is well known for his renditions of tunes written by George and Ira Gershwin (S’Wonderful); and Standards made famous by Frank Sinatra. His journey to salvage our American Songbook has been well documented on PBS. Michael met me on stage, so I could personally give him a CD copy of a recent program Gary Lycan and I recorded, capturing the story of the Great American Songbook Initiative created by Feinstein. He was clearly moved by my gifts. The program aired in March on the Financial News and Talk Radio Network. The hour long show is on each Saturday at 3p (pst). Kudos to the Pacific Pioneer Broadcasters for such an appropriate honor. By the way, I joined the PPB in 2010. Hall of Fame broadcaster Art Laboe put my name in consideration to become a member. Forgotten Hollywood Forgotten History is now owned by over 2800 readers. In its second printing, most of my sales have come from Rotarians from all over Southern California, and a number of computer clubs that took place in Glendora and Long Beach. I was invited to share my success as a self-published author, and to conduct several book signings. My first paperback is showing no sign of slowing, in terms of sales. Great news indeed! This entry was posted on Monday, May 13th, 2013 at 1:55 am	and is filed under Blog by Manny Pacheco. You can follow any comments to this post through the RSS 2.0 feed. Responses are currently closed, but you can trackback from your own site.